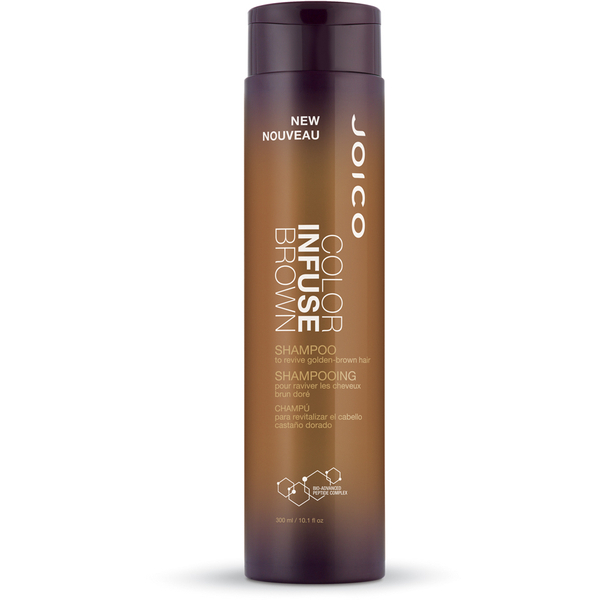 Protect the colour vibrancy of your rich brunette hair with Joico Color Infuse Brown Shampoo, a fade-fighting formula that works to maintain colour integrity on light to medium brown hair with natural or salon-treated highlights. Working to cleanse and protect every strand, the colour-boosting shampoo utilises a Multi-Spectrum Defense Complex to help fight fade, and Anionic Dye Technology to anchor colour from within for improved, longer-lasting intensity. Its Bio-Advanced Peptide Complex repairs from root-to-tip, ensuring frizz is diminished and shine is illuminated. Expect soft, smooth, glistening locks with 53% reduced breakage. 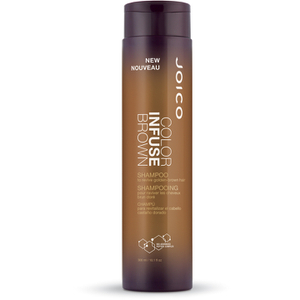 Shampoo with Color Infuse Brown every other cleansing to achieve the perfect glow, then use as often as needed to maintain that radiance. For maximum intensity and penetration, leave on hair for five minutes before rinsing.